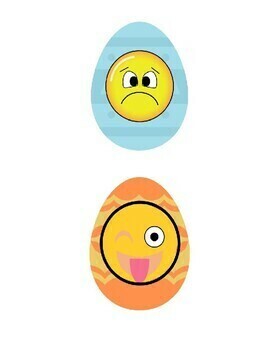 Laminate; cut out eggs. 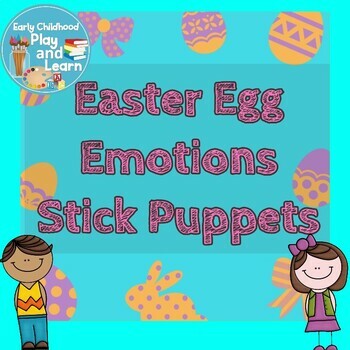 Tape the eggs onto Popsicle sticks to make puppets. The puppets can be used for finger plays, songs, stories, dramatic play etc. Sing songs and read stories about feelings. Then encourage children to identify the expressions on the puppets, and encourage children to discuss feelings. Later, allow the children to play with the puppets; engage in conversations about feelings with the children as they play with the puppets. 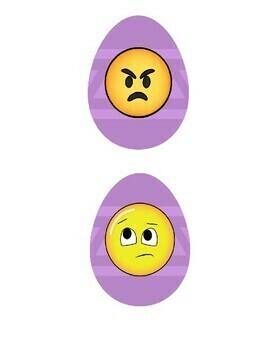 The egg puppets have different expressions: happy, sad, angry, confused, and excited. The expressions are emoji faces. 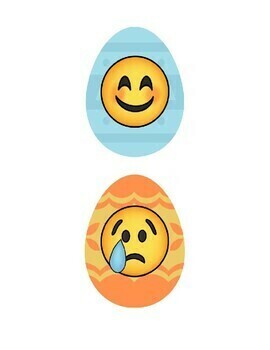 Three pages worth of Easter egg emotions.